The X-RAY Material Extraction Addin works inside Autodesk® Revit® to allow Key Measurements to be extracted from the Revit model ready for input into BIM Pipeline, a Constructech 2014 Top Product. 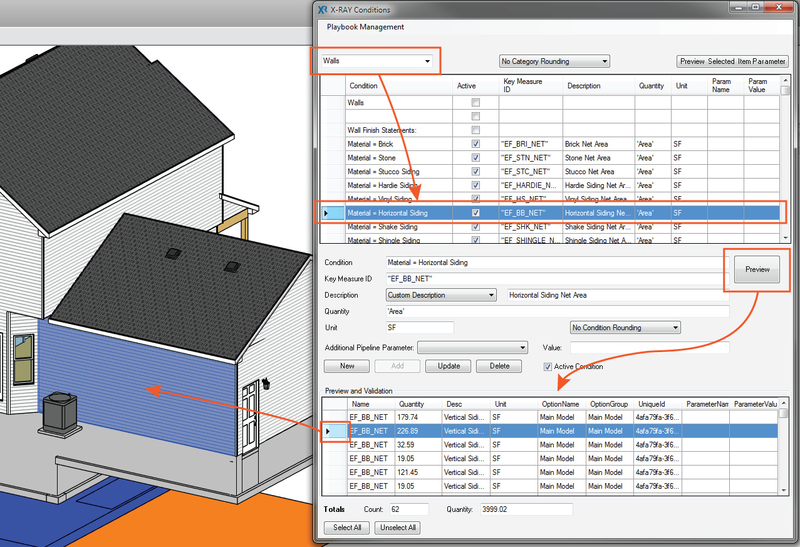 X-RAY is a rule based Key Measurement Take-Off application created for Revit. 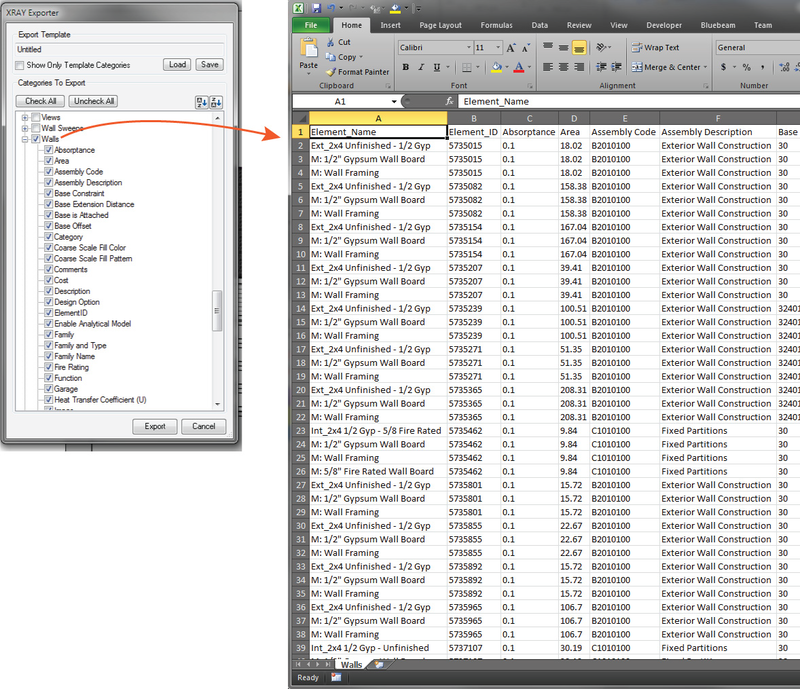 X-RAY is designed to extract consistent quantity information from Revit files to streamline the Take-off process. Without using schedules, X-RAY helps to expose relevant Take-Off objects within a Revit file that can’t easily be seen or quantified. 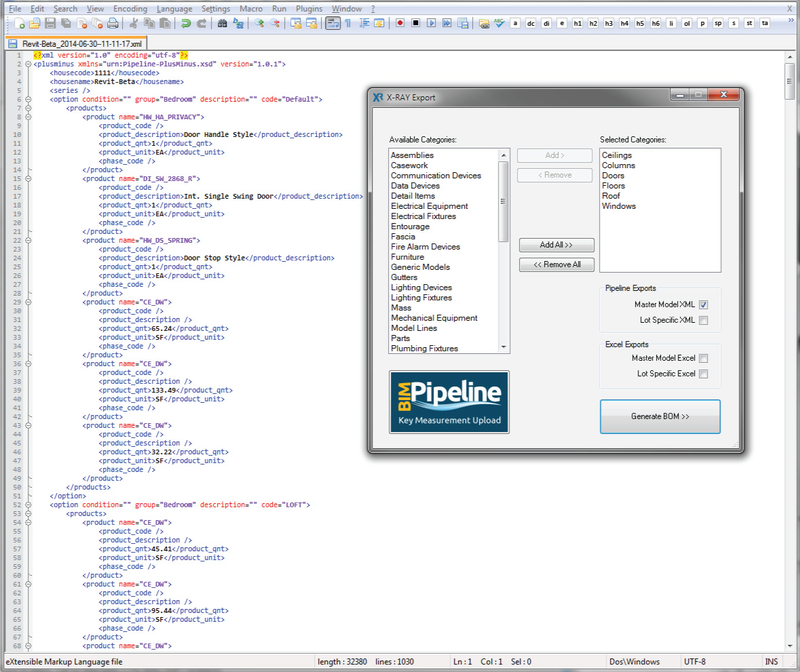 While segmenting +/-quantities within Design Options, X-RAY can publish an entire Design Option Enabled Revit file directly to Pipeline® for integrations with various back office systems or this comprehensive Take-Offs can be sent to Microsoft Excel™. X-RAY’s rule statements are extremely flexible and can simplify Take-Off results that would otherwise be complex using Revit scheduling capability. X-RAY is a critical part of an automated estimation workflow. By managing Take-Off quantities for each option of a home plan, an X-RAY supported workflow will provide a true understanding of the +/- impact to construct for of each plan or each option. By leveraging X-RAY, the information rich Revit model being used to create predictable Key Measurements will now allow builders to connect these designs to relevant Purchasing information which results in a Builder being able to make more sound business decisions. There's more information available on the Autodesk Exchange website.